Lots of work at the command line, which for me isn't a problem but some people might not like. In four words: This thing is sweet. Let's take a look at it. I've done a lot of web application development, mostly with PHP or C#/ASP.NET, so I'm able to compare express.js to those platforms. 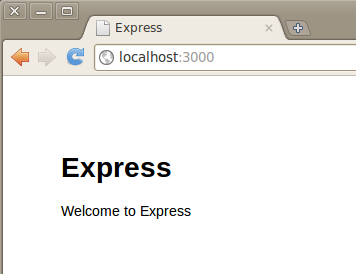 And I can say that the creators of Express.js (who includes the creator of Node.js) have done an awesome job putting this thing together. First off, you have to download it, adding it to your Node installation. The instructions are on the web site , so I won't repeat them here, except to say that you need to follow the steps exactly as shown on the installation page. 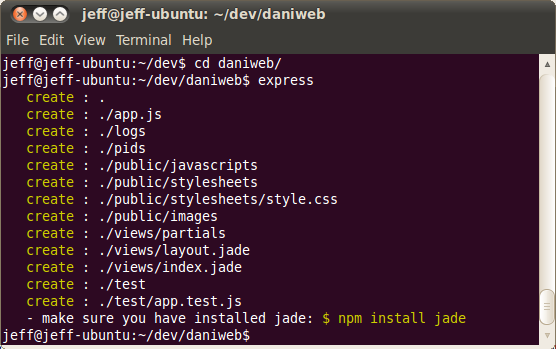 Next, you have to install a view engine called Jade (along with a replacement to Jade that I personally prefer; more on that shortly). Essentially this code is a series of calls into the framework. The framework object is accessible through the app variable. 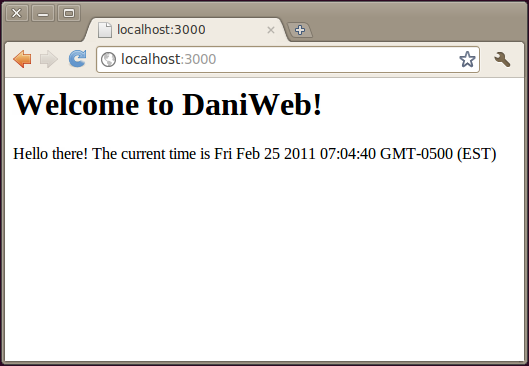 The calls to app.configure() set up the web application. The call to app.get() specifies a URL (in this case just /, or the root) and what to do when a browser requests that URL. As I was playing with Express, I found that I wasn't comfortable with the default view engine, which is called Jade, and I decided to use an alternative. But first, what exactly is a view engine? Look at it like this: In web programming, you can write code in the language you're using, such as C# if you're working with ASP.NET, or the PHP language itself if you're working under the PHP platform. But you also need to work with HTML. Typically you'll create an HTML file and embed your code right in it alongside the HTML tags. Then you'll probably have a lot of separate code in different files that aren't intermixed with HTML. 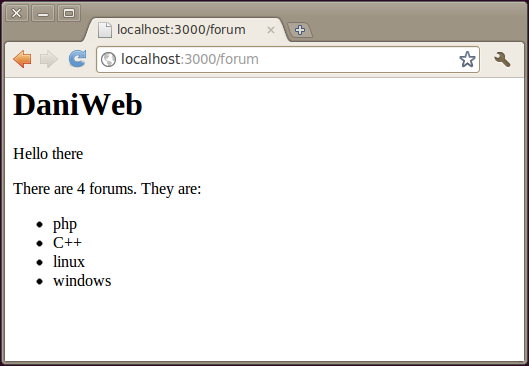 This means when the browser requests the root, as in /, the code will render the view called index.ejs. (The extension isn't included since it's specified with the view engine.) So after these changes—updating the call to the view engine, changing the app.get() call, and creating the index.ejs file, here's what you get. The view system starts with this file, and inserts the specific view file--in this case, forum.ejs--in place of the <%-body%> tag. This way you can accomplish a theme or master file of sorts. Are PHP SuperGlobals putting Web applications at risk? Webpage Content with State/Prov. Location?